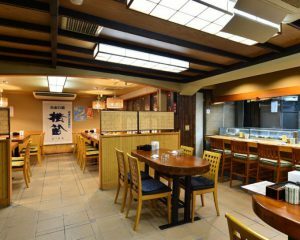 There are so many eating and drinking establishments in Tokyo that anyone would definitely get lost in deciding which one to enter! It is also packed with famous stores selling sushi – a classic Japanese dish. 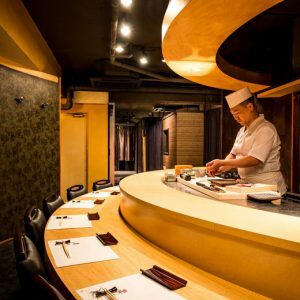 Below are 10 sushi shops in Tokyo that are particularly recommended. All the high-quality toppings – carefully selected by the owner, who personally goes to the market every morning to purchase them – are sold at reasonable prices in this famous shop. It is easy to remember the pricing here: sushi starts from 50 JPY per piece, while snacks and side dishes start from 200 JPY. 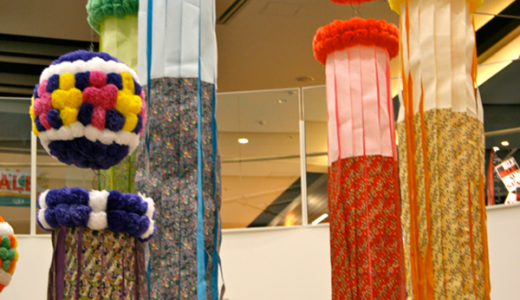 There are various sets available as well, such as the Edo (1,000 JPY for 8 pieces of sushi (excl. tax)). Its lunch menu also gets rave reviews, such as the popular and filling Kaisen-don (seafood bowl) (850 JPY (incl. tax)). 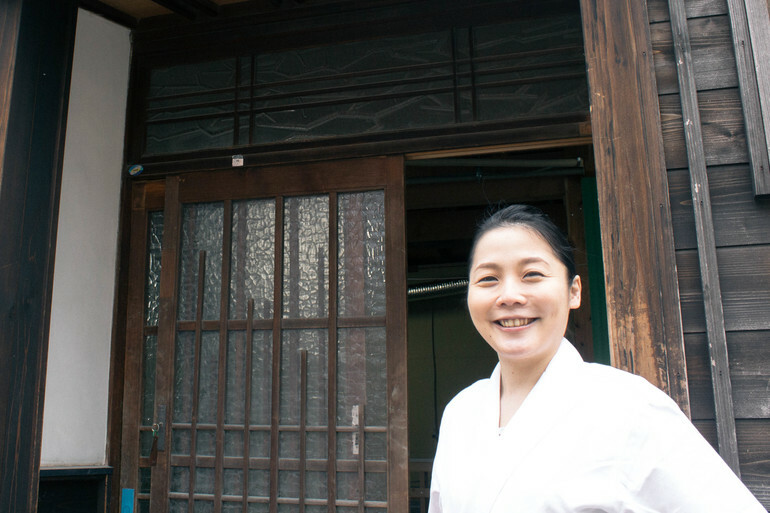 This famous sushi restaurant was founded nearly 60 years ago. Here, the seafood is cooked and served on the day that they are caught. 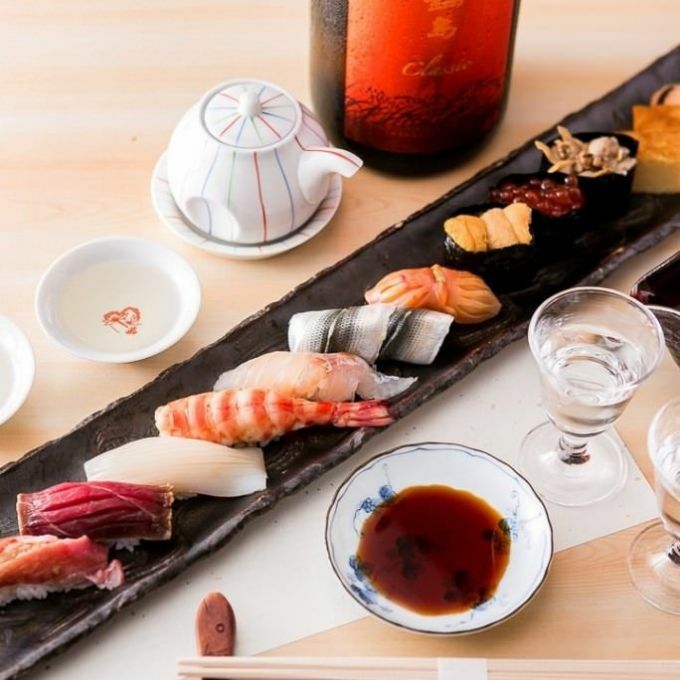 Vinegar – made by blending rice vinegar and sake lees, and then adding kombu (kelp) and sugar to boost the flavor – and rice from Niigata is used to make their shari (sushi rice). 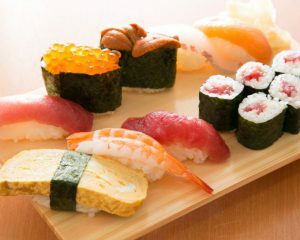 They are careful about preserving the flavor of their sushi, which hasn’t changed since the restaurant’s establishment. 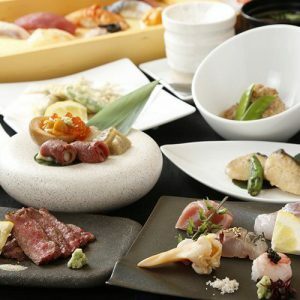 They offer classic nigiri (hand-formed) sushi, such as Ume Nigiri (1,000 JPY for 8 pieces of sushi and rolled sushi (excl. 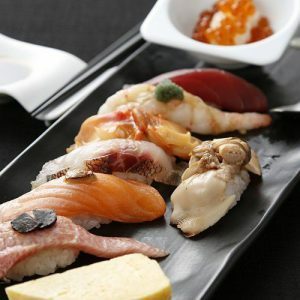 tax)) and Shun no Osusume Nigiri Toku (2,800 JPY for 12 pieces of sushi (excl. tax)). English menus are available. 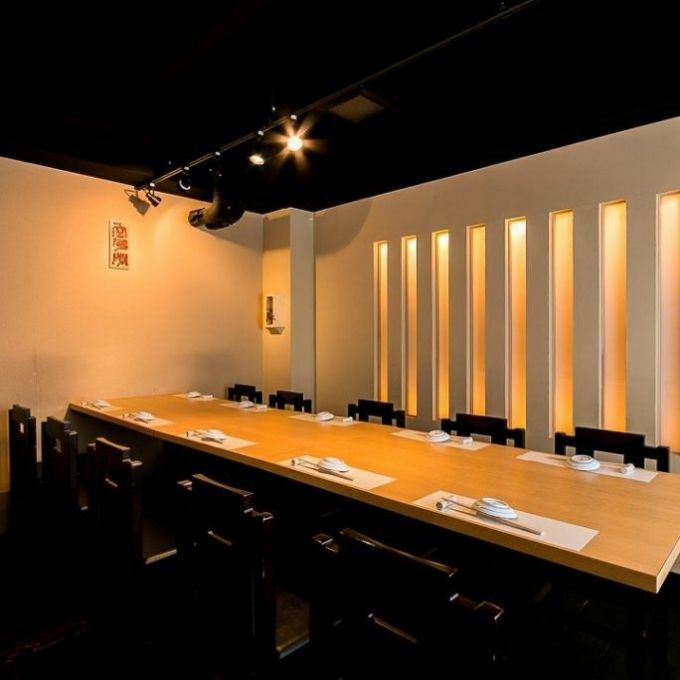 Here, you can enjoy sushi made by the head chef, who has been polishing his culinary skills for over 20 years. All the ingredients are carefully chosen by the owner at the market. For example, it is particular about procuring fresh tuna caught from nearby waters, so in certain seasons, it will buy tuna from places like Aomori and Hokkaido. 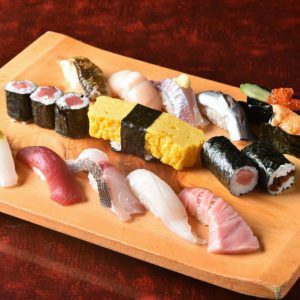 Furthermore, they use fragrant wasabi from Shizuoka that has a deliciousness hidden under its spiciness, branded rice from Uonuma in Niigata for its sushi rice, and seaweed with a unique aroma from the Ariake Sea. Other than sake selectively chosen from all over Japan, they also offer wines and champagnes. 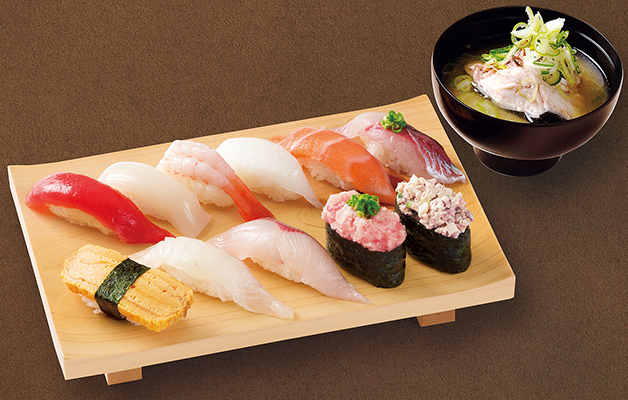 Here, you can enjoy quality ingredients that have been directly shipped from various areas around Japan. Obsessed about using wild-caught seafood instead of farm-raised ones, this restaurant procures a variety of fresh seafood, such as domestic fish, crabs, and bluefin tuna. What’s interesting about this place is that the sushi here is eaten with salt procured from all over the country! It also offers a long list of Japanese sake that go well with sushi. You can find other sorts of dishes here, such as A5-ranked Wagyu beef and vegetables grilled over binchotan (a kind of high-grade charcoal). English menus are available, along with staff who can speak English and Chinese. 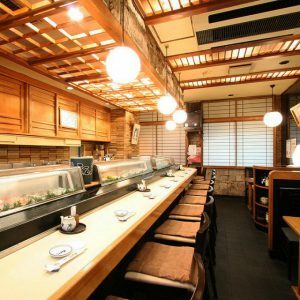 Sushi Aoi may be located in downtown Nishi Azabu, but it is still famous as a relaxing getaway from the hustle and bustle of the city. 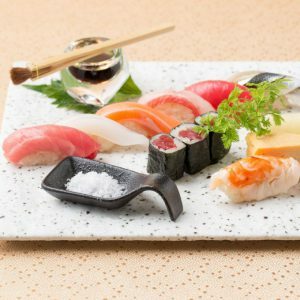 The chef – who honed his skill at the well-established, high-class sushi restaurant, Kyubey – displays his skills through the sushi that he makes. The signature ingredients used here are wild bluefin tuna caught from nearby waters and flavorful sea urchin from Hokkaido and Aomori. 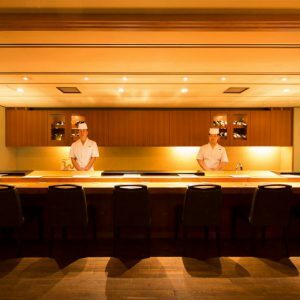 It offers a wide selection of delicious drinks to go with sushi, such as local sake, shochu (distilled liquor), wine, and champagne. 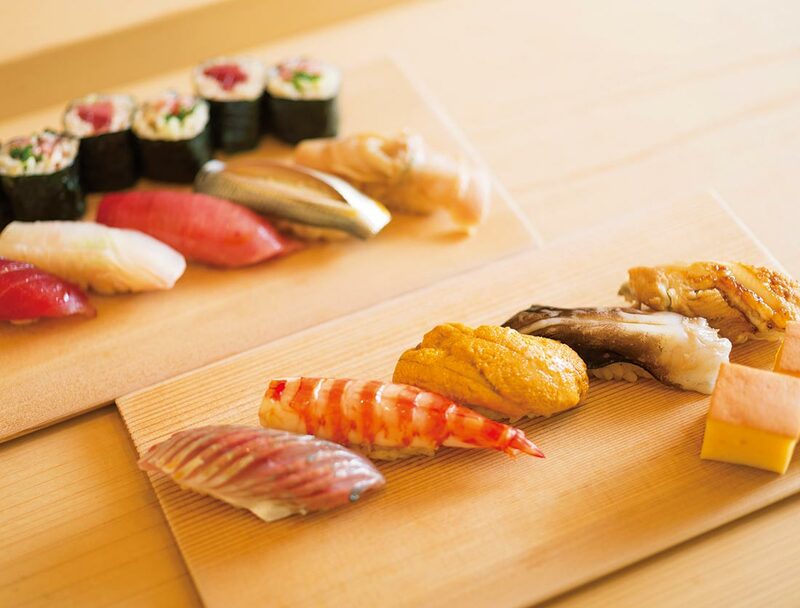 Sample menu: Omakase Nigiri Course (12,000 JPY per person (excl. tax)). English menus are available. Edogin in Tsukiji is a long-established shop that was established in 1924. Its ingredients are purchased from the market every morning. 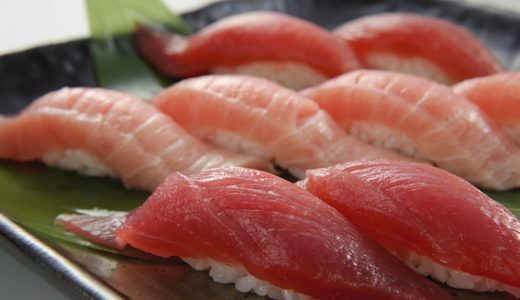 One thing that it is particularly known for is that it only uses wild-caught, not farm-raised, bluefin tuna. 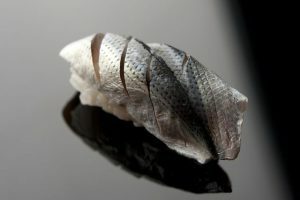 It has always taken pride in achieving the perfect balance between its bite-sized sushi rice and large sushi topping. 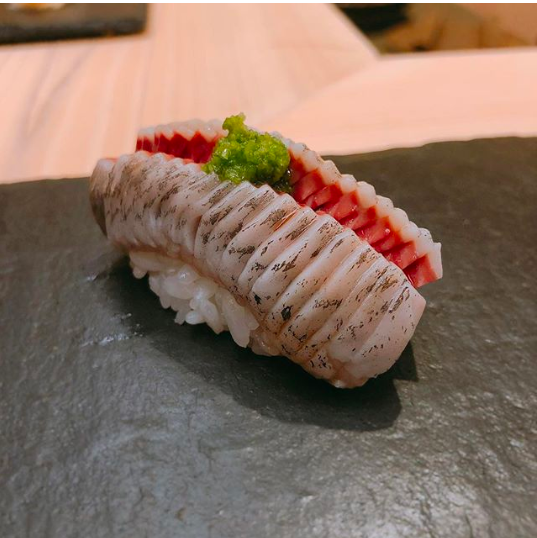 The sushi rice is made using red vinegar that has been fermented for a long period of time, so it has a faint color and a mellow but rich taste. The rice draws out the delicious taste of the high-quality toppings. English menus are available. 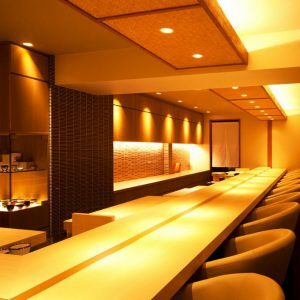 Primely located right next to Tokyo Station, anyone can relax in this restaurant’s cozy wooden interior. Here, fresh ingredients sourced from all over Japan are served in a style that fuses traditional cooking methods and innovative ideas. 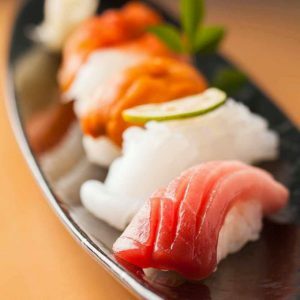 Its sushi is not only eaten with soy sauce, but also with rock salt and kabosu (a type of citrus fruit) to make it more refreshing. English and Chinese (simplified) menus are available, along with English-speaking staff. 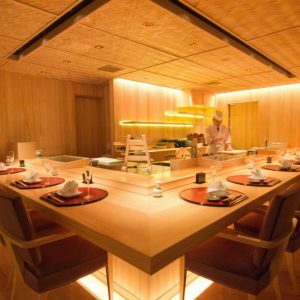 Though it is located in Ginza – an area filled with high-end stores – this restaurant is famous for its reasonably-priced offerings. It offers both classics and rare seafood, which are bought from the market and sold at affordable prices. Its Hon-maguro Goshu Moriawase (assortment of five kinds of bluefin tuna) (2,980 JPY (incl. 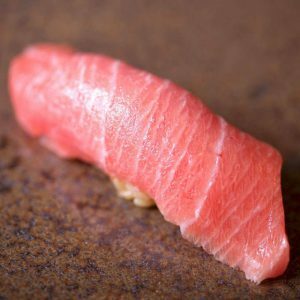 tax)) is particularly popular for letting you savor various cuts of bluefin tuna at a special price that’s significantly lower than the 7,000 – 8,000 JPY price tag usually set by other specialty stores. 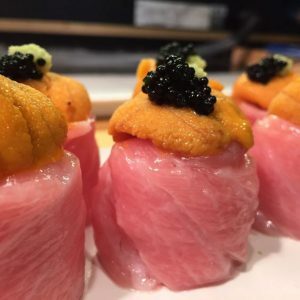 The Noko Zeitaku Maki Uni x Toro x Caviar (Rich and Luxurious Rolled Sushi Sea Urchin x Fatty Tuna x Caviar) (980 JPY for 1 piece of sushi (excl. 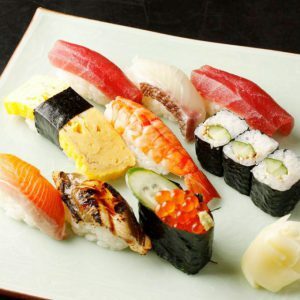 tax)) – a nigiri sushi dish that is made in limited quantities each day – is also recommended. English menus are available. Founded in 1889, this well-established restaurant is loved by a wide variety of people, including Japanese literary masters. 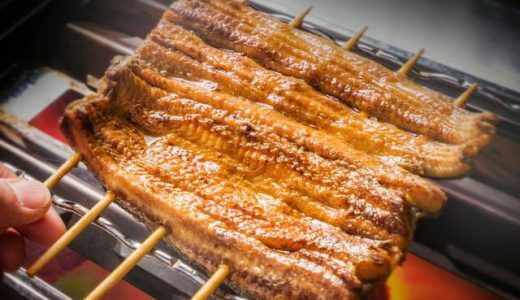 It continues to preserve traditional “Tokyo-style sushi”, as seen in its famous anago (conger eel) dish that is boiled down in a special sauce, which has been passed down for generations. It always has more than 30 kinds of sake – said to draw out the deliciousness of sushi – including ones that are difficult to find. 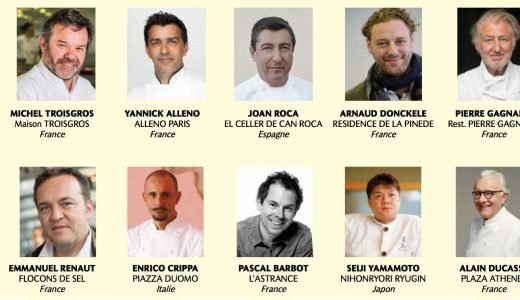 This famous restaurant is primely located in an area that’s just a short walk from Roppongi Station. 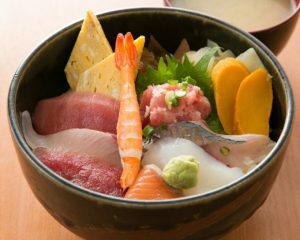 Here, you can enjoy seasonal ingredients that are directly procured from the market every morning, such as flavorsome lean tuna, extremely fatty tuna, and one of Hokkaido’s specialty ingredients, sea urchin. They use Koshihikari rice from Uonuma, Niigata, for the sushi rice. 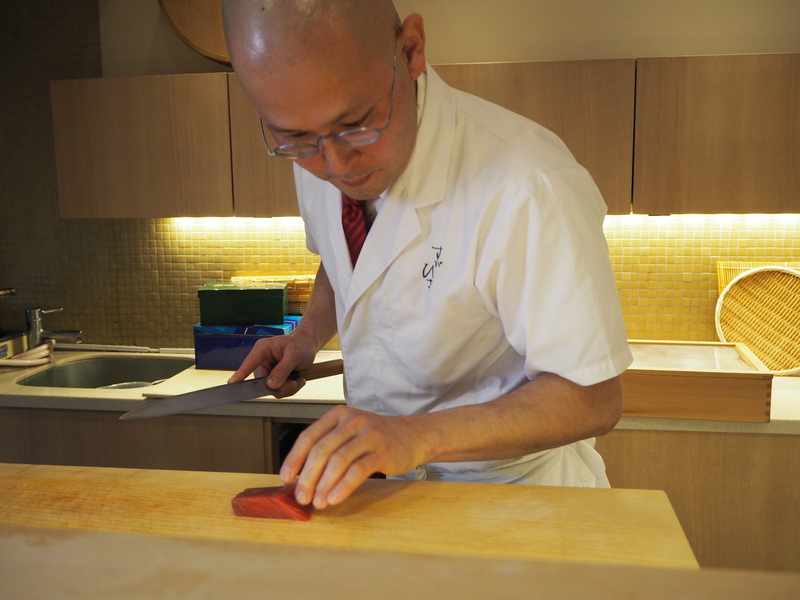 They form it by perfectly adjusting the pressure of their hands, ensuring that the resulting sushi is not too soft or too hard, but instead plump, with each grain of rice holding a solid flavor. 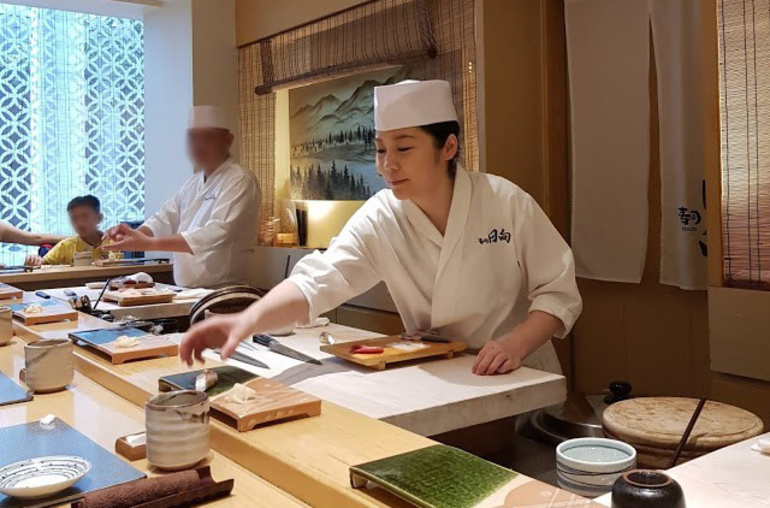 They only serve omakase courses (wherein the dishes are chosen by the chef), so you are guaranteed to enjoy the tastiest and highest-quality ingredients available that day. English-speaking staff are available. 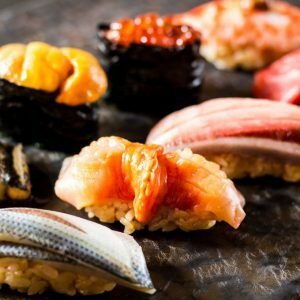 All of these sushi shops are unique and pay special attention to the ingredients that they use. If you’re interested, do check them out!